Software produced by a new University of Southampton spin-out is poised to help save billions of pounds in overdue, over-budget aerospace projects. ACSIAN plans to revolutionise the management of large and complex projects, in all industry sectors, with a new generation of project management software, PLEXUS MANAGER. Formed by University of Southampton professor Jim Scanlan and a colleague from Rolls-Royce, ACSIAN will help major companies achieve successful large-scale projects that deliver on time and to budget. The company has been established with £400K of seed corn funding from IP2IPO, the early stage technology transfer specialists, and the SULIS Fund, a seed fund owned by the Universities of Southampton, Bath and Bristol. "As an illustration of the problem; of the UK's top 25 weapons programmes, 23 have missed, or are forecast to miss their in-service date. In all, they are £2.8billion over budget," said Professor Scanlan. "PLEXUS MANAGER is designed to be flexible to allow for the inevitable changes that are made within active projects. The project manager then has a much better feel for the likely impact of changes and problems encountered during the project and can make appropriate decisions to effect best use of time and resources." Leading the team are co-founders Jim Scanlan, Professor of Engineering Design at the University of Southampton and Ian Poccachard, Engineering Systems Developer at Rolls-Royce Defence Aerospace. They, with six other engineers and academics, have spent many years developing the software, a product of the team's extensive experience in working with large aerospace organisations. "Together, the founders of ACSIAN have a great deal of first-hand experience in what to do - and what not to do - when managing large, complicated engineering design projects," said Professor Scanlan. "We have built on this experience to produce a powerful and radically different new software tool which enables organisations to combat the principal causes of project failure." Professor Scanlan came to Southampton in September 2004 to head up the University's new Centre for Engineering Design, but also to develop and commercialise the software. "The University of Southampton has an unrivalled reputation for enterprise and has helped many academics to set up spin-out companies. I knew it was the right place to launch ACSIAN," he added. ACSIAN is also a member of the SETsquared Business Acceleration Centre at the University of Bristol which supports and encourages business success through a range of services. The Universities of Bristol and Southampton together with the Universities of Bath and Surrey form the SETsquared Partnership, generating successful enterprise and entrepreneurship in southern England. 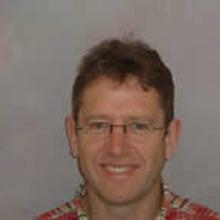 Professor James P Scanlan is Professor of Design within Engineering and Physical Sciences at the University of Southampton. The Centre for Enterprise and Innovation (CEI) is the focus of entrepreneurial activity within the University of Southampton. Formed in September 2000, the office encourages and supports enterprise activity across the whole university including enterprise education for students and businesses, consultancy for industry and the commercialisation of university intellectual property through the creation of start-up companies and licensing. Since 2000, the CEI has encouraged the start-up of over 25 student and arts-based businesses, supported consultancy transactions across the university and helped spin out 15 companies, two of which floated on the Alternative Investment Market of the London Stock Exchange in 2004. The £9 million Sulis Seedcorn Fund is the largest University Challenge Fund in the country. The Fund, owned by the Universities of Bath, Bristol and Southampton and managed by Quester, provides support for the early stage commercialisation of research generated by the academic communities of the universities through enhancing the commercial potential of specific products or services as well as the licensing or sale of intellectual property and the formation of spin-out companies. The SETsquared Partnership is the collaboration of the Universities of Bath, Bristol, Southampton and Surrey, generating successful enterprise and entrepreneurship in southern England. The SETsquared Business Acceleration Centres are part of the enterprise partnership between the Universities of Bath, Bristol, Southampton and Surrey. The SETsquared centres support early-stage, technology, high growth potential ventures both from within and outside the universities to accelerate their businesses. They help these ventures make the vital, yet often difficult move from initial ideas to business start-up and the key to their success lies in the combination of the research strength of the universities and private sector commercial experience.